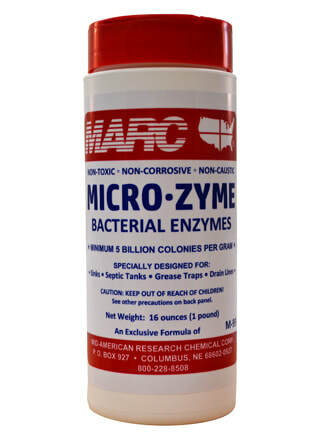 Contains billions of specially formulated bacteria and enzymes to promote natural digestion of waste. Reduces and liquefies organic wastes which normally cause problems in drain lines and septic tanks. Non-toxic, non-corrosive, non-caustic.